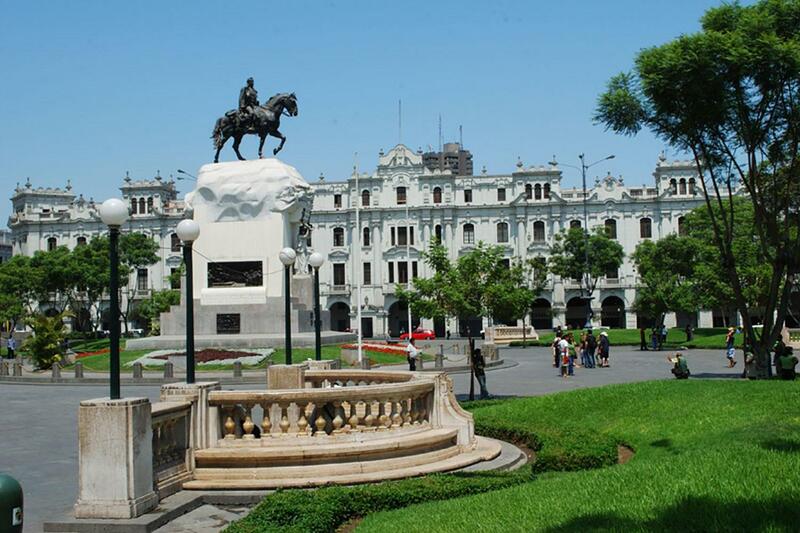 Drive along the main streets, plazas and avenues of the city. Visit the Lovers Park in Miraflores with a spectacular view of the Pacific Ocean. 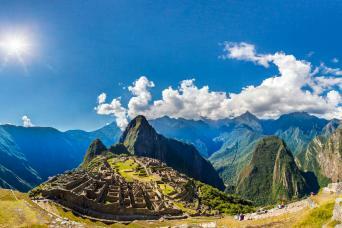 Enjoy a panoramic view of Huaca Pucllana, a ceremonial center the ancient Lima culture. 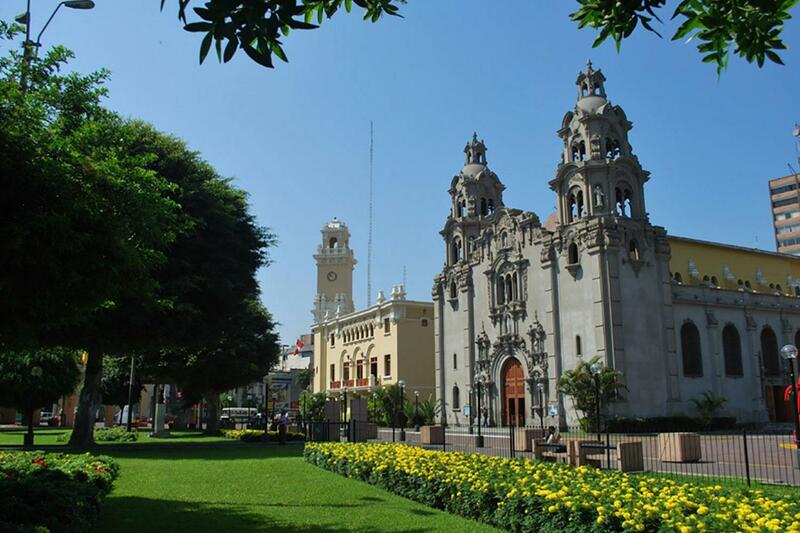 Meet San Isidro, the financial center of the city, see Huaca Huallamarca, an ancient pre-Inca shrine. Visit the Main Square, the Government Palace and the City Hall. Visit the Cathedral and explore the Santo Domingo Convent. Visit the private collection of Mr. Mujica Gallo. Entrance to the Cathedral, Santo Domingo Convent and Gold Museum. Please send your hotel and personal information in advance. The Cathedral of Lima and Gold Museum are closed on some national holidays. Saturday PM and Sunday AM Cathedral closed. 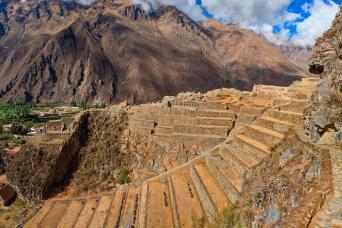 We offer entrance to Huaca Huallamarca Pre Inca Pyramid. You are not allowed to enter religious places in shorts. You are allowed to take photographs without flash in the Cathedral and in the Gold Museum. We will drive along the main streets, plazas and avenues of the city. We will start at the Lovers Park in Miraflores with a spectacular view of the Pacific Ocean. Then, we will have a panoramic view of Huaca Pucllana, a ceremonial center the ancient Lima culture; and in San Isidro, the financial center of the city, we will see Huaca Huallamarca, an ancient pre-Inca shrine. We will then continue to the Main Square, where we will find the Government Palace and the City Hall. We will visit the Cathedral and explore the Santo Domingo Convent, along which corridors San Martin de Porras and San Rosa de Lima used to walk around in 17th century, and where their remains rest today. Then we will visit the private collection of Mr. Mujica Gallo, a person who during his lifetime collaborated with the recovery of Peru’s historical heritage, mainly of the cultures in northern Peru. He set up the Peruvian Gold Museum Foundation, where over 2,000 pieces of gold, silver and brass belonging to the Mochica, Chimu and Inca cultures are displayed. Among the most precious treasures are nose pieces, pots and utensils for religious purposes, as well as some mummies. There is also a room where Inca and Paracas textiles are displayed, as well as pottery and some garments. Among the oddities of the place, you can find the collection “Weapons of the World”, considered to one of the best of the kind as it treasures some relics of important characters in world history.